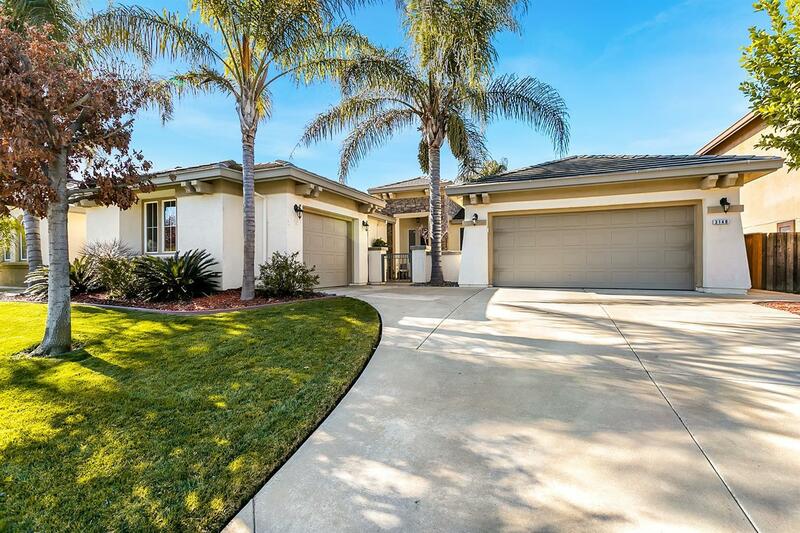 Gorgeous and immaculately-maintained single-story home in one of Natomas' most sought after neighborhoods. An open floor plan greets you as you walk in with curved doorways and sleek tiled floors with matching edging. The formal living room has large windows that look out over the back yard oasis. A generous chef's kitchen is open to the family room and features granite counter tops, stainless steel fridge, mosaic tile backsplash and recessed lighting. The family room features built-in entertainment cabinetry and pre-wired surround sound. Spacious master bedroom suite has separate washbasins (hers with sitting area) and huge walk-in closet with custom cabinets. The custom back yard is an entertainer's dream and boasts slate stone, built-in gas grill, rock fountain, mood lighting, raised bed vegetable garden, rose bushes, and fruit trees. Close to shopping, restaurants, parks, and schools.